"The greatest crime on Earth is the bastardisation of the true meaning of words. There are many key and crucial words that have been stretched, warped, re-interpreted and or just simply had their true meaning changed to mean the opposite. As a result, not only can so many get away with lying and deception, not to mention self-deception, there are those who can make a lie an oath-relied-upon truth and their deception sold as the word of God." 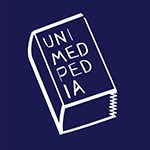 All of Unimedpedia is dedicated to exposing the great harm caused by and to all through the misuse of words and in bringing Truth back to word. There is so much to say on this subject that we don't even have enough words to expose the depth of the evil at play here. This morning, I heard a short audio where Serge Benhayon exposed how deeply the word "love" has been corrupted and then joked that perhaps we should have a licence or certification before we use the word Love . . . even though it was said in a light-hearted way it got me pondering. We have to have a licence before we can drive a car or own a shotgun as we recognise that these are dangerous things in untrained or irresponsible hands so why don't we need a license to use words as they are far more dangerous in untrained or irresponsible mouths, heads and hands? "Choose the words 'God', 'Christ' or 'Jerusalem' and a never-ending discussion/argument is created over their true meaning and hence, where does it lead us if this is so? We know historically that one interpretation over another in regards to these simple three words has caused mass-death to billions of people over many, many centuries. The reader needs to consider this very thoughtfully. The power of misinterpretation has caused the death of billions of men, women and children. Is this not something that must be exposed and wiped out for the sake of a just life and the ceasing of this evil medium of separation?" Of course we can't stop people shooting each other or drunkenly driving unregistered cars but we do recognise it as a crime and lock them up – so why are we choosing to ignore our gross irresponsibility and at times harmful intent when it comes to shooting each other with words, language and tone? The first harm is that we are not even owning up to or recognising the harm we cause and experience with words. We have sayings such as "sticks and stones can break my bones but words will never hurt me" which is completely untrue – yes they may not break your bones but they will cause far greater damage. "Pythagoras taught his fresh students the truth and power of silence, and hence why they practised it for five years before they then put energy into creating a sound, which then becomes the words that then become a speech. If this was practised today it would probably be labelled a fanatic cult even though we could all do with it. However, the fact is that this form of discipline, that is, this way to derive at and thus know an energetic truth, is today – in the New Era, not necessary, as we have the Soul closer to us than at any other time and therefore, through simple energetic knowledge, exercises, and, a knowing of Occult Law, the same understanding can be reached and the truth of silence be known in a short space of time. We do not have to be silent for five years before we speak, we just need to connect to our inner-most and re-develop the life of ENERGETIC INTEGRITY so that all we do is done in the light of the Soul and not from our pranic intellect and emotional body. In other words, if we understood the responsibility that Pythagoras was teaching, that is, how energetically we make a difference in all that we say and do, and hence why the smallest utterance does make a difference, we would lovingly live that whole responsibility ourselves, and our world would begin to truly change and not merely move from one pranic idealistic solution to another. The latter has not worked and this is why we have illness and disease and more climate and Earth changes than ever before. Occult truth – In and from the occult perspective, truth is known and felt by how it leaves its imprint. That imprint is a wave or pattern that then stimulates or inspires further expression in the same light. Hence, if the expression is pranic, it will stimulate more prana – if the expression is fiery, it will inspire Divine expression. The latter is the whole and the former is the fragment. It is important to understand that when prana is expressed, as it is so prolifically in our world, it stimulates other units of life (all of us as human beings) to seek self as the main and only object of its focal interest. In stark contrast, when the fiery expression is emanated, it constellates and thus it unifies all units towards a one expression. The latter is how true truth works and this is what is meant by the term - 'a constant terminal'. The 'constant terminal' is a principle that draws all towards a one truth and therefore, no separation can exist." So yes immense harm can come from our irresponsible, careless and at times malevolent use of words, but equally great good and healing can come with our loving, truthful and fiery use of words. How we use words affects us all. We are affected by our own words just as much as others are, regardless of whether we speak or express them aloud or simply within our own head. And it is not just the word we use but the energy we say it in, for we can use exactly the same word and say it in separation and it causes harm or say it in a loving connection and it is healing. There is so much more to our expression than we are taught or are taking responsibility for. As Serge Benhayon presents: "expression is everything".